Well, it’s here: The Olympus E-P1 Micro Four Thirds digital camera. The E-P1, or digital pen, packs in almost all the E-620‘s magic into an absolute tiny and gorgeous body. 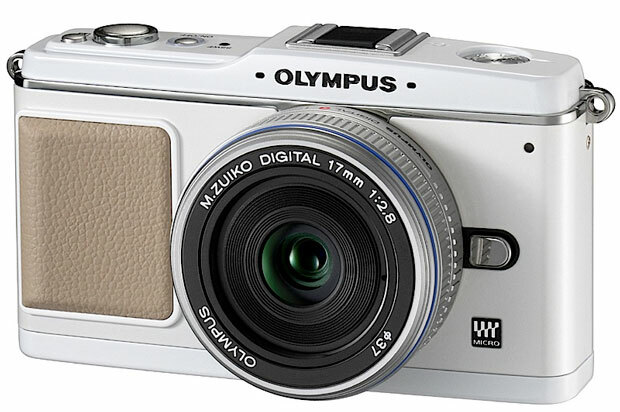 A body that throws-back to the the late 50’s when Olympus launched the first Pen camera. Just like back then, pro photographers and amateurs alike are instantly falling in love with this shooter. Except for one small detail. We are a little disappointed with the price, but the specs aren’t anything to joke about. Most of the rumored yesterday’s leaked info turned out to be true. The E-P1 comes in with a 12.3MP Live MOS sensor that’s equipped with a new processing unit called, TruPic V. Plus, it’s capable of 100-6400 ISO, 720p & 480p video recording, an HDMI-out, and a 3-inch screen. Not to bad for a tiny camera that measures in at just 4.7- x 2.7- x 1.4-inches, eh? The small size does come with a price. The body will run $749 and $799 with a 14-42mm (3x) zoom lens. The kit with a 17mm pancake lens and viewfinder will cost $899. There will be a an electronic flash (FL-14) in same retro-digs available too for $199. It seems somewhat high, but remember that this tiny package holds a full DSLR sensor and the ability to swap lens. It’s still thousands less than the similar Leica M8.2 anyway. Expect the camera this July. Photography Blog and the official product page have some full resolution samples up. 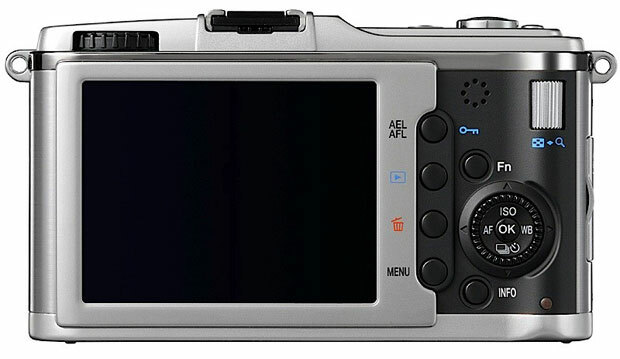 DPReview also has a preview which, among other things, runs down the history of the Olympus Pen series.